Panama Canal, from The National Atlas of the United States. Egypt’s Suez Canal enabled mariners to avoid the arduous circumnavigation of Africa via the Cape of Good Hope and thus transformed shipping as far away as Singapore. Ferdinand de Lesseps, builder of Suez, saw similar potential in a canal across Central America to shorten the journey around South America via Cape Horn. But he was in for a surprise. What Columbus searched for, in vain, and Napoleon III pondered (during the period 1862-67 when France tried to impose its rule on Mexico, and the Emperor eyed the Isthmus of Tehuantepec for a possible canal), the man who built Suez was certain he could accomplish. With his Egyptian success behind him, Ferdinand de Lesseps began work to join the Atlantic and Pacific at sea level by building a canal along the Chagres and Rio Grande rivers. But Panama posed challenges not seen in Egypt. Mountains prevented the digging of a flat ditch, while floods, mudslides, rain forests, and mosquitos made work vexing and often deadly. So many workers perished that the contractor sent out orders that any who looked sick must be fired to avoid paying mounting medical costs. Seven years into the project, the endeavor lost $287 million dollars and 20,000 workers. Two years later, Ferdinand de Lesseps liquidated the company. Court cases drove him into ignominy while his son, Charles, fled to hiding in London. Both father and son were later arrested (but never served time). After staggering financial and human losses, only 19 miles of canal were dug. The project was declared a failure. Why did Ferdinand de Lesseps fail? It might come down to not listening to one’s children. Charles warned his father not to mistake Panama for Suez where diplomatic connections were strong and terrain was known. De Lesseps advertised in the French press on behalf of the Compagnie Universelle du Canal Interoceanique, but the initial public offering raised only 8% of what was needed. Charles again tried to dissuade his father from continuing. Then Ferdinand committed the critical error; in a mistake of optimism, he visited Panama in the dry season. Projects may fail but rights and permissions have a life of their own, and so it was with the construction contract that gave building rights to France until 1903. But the French wanted no more of the overseas canal after the de Lesseps very expensive fiasco. Thus discrete inquiries were made. The United States was interested and always had been. President Grant had sent scouting teams during an earlier administration. 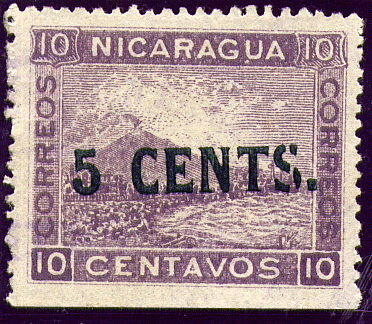 In 1889, the U.S. Congress attempted to charter a construction company in Nicaragua; the Maritime Canal Company was financed by J.P Morgan, but the stock panic of 1893 reduced the coffers and chances of a deal. President McKinley was about to sign a bill in 1901 to authorize funds but before he could put pen to paper, he was assassinated. Finally, when Theodore Roosevelt became president, America seized the opportunity. Teddy Roosevelt was so involved he came onsite and jumped into the driver’s seat of a massive Bucyrus shovel; the photo seems to indicate he himself was the builder. Eager to close the deal before the contract expired, Roosevelt hired two advisors who turned out to be geniuses at negotiation. William Nelson Cromwell and Phillipe Bunau-Varilla obtained a 60% discount on the lease price, buying the rights for $40 million instead of the asking price of $100 million. DID A POSTAGE STAMP CHANGE HISTORY? Cromwell and Bunau-Varilla were more than just good negotiators. Their true excellence might have been in the area of public relations. Just as the United States Congress was about to vote for a canal to be built in Nicaragua, the two went on a publicity campaign, giving lectures about why Panama should be chosen. They also bought ads in newspapers, printed brochures. Soon, a few members of Congress began to consider Panama. But there was one factor that proved persuasive: Nicaragua had volcanoes. Was it safe to build a canal near a volcano? Volcano stamp like the one delivered to the Congressmen, from paperheritage.co.uk (note: there are many variations and monetary denominations of this stamp). Days before the Congressional vote that might have given the contract to Nicaragua, Bunau-Varilla somehow obtained 50 Nicaraguan postage stamps displaying the dramatic splendor of a powerful volcano located just 20 miles from chosen site. Was it any surprise that each U.S. senator received a volcano stamp – promptly arriving on each desk as the morning of the vote dawned. As the legislators gathered, Senator John Spooner stood to offer a timely amendment; the lease would indeed be bought, but the location changed to Panama. The Spooner Act allocated $40 million for the purchase of the New Panama Canal Company. But there was a small problem. Colombia owned the land. When a proposed treaty for a 100-year lease of the isthmus (payment to be $10 million down and $250,000 per year), the government of Colombia was in political flux and negotiations were precarious. President Theodore Roosevelt, known for his “carry a big stick” reputation, ordered the United States Navy’s battleship Nashville to stage a quick war. Panama declared independence. The United States recognized the new country. With the battleship’s ominous shape still quite visible on the waters just off the coast, Colombia reluctantly gave in to the terms of the Hay-Bunau-Varilla Treaty. In short order, the hands and pens met to sign a conveniently available canal contract with the newly minted Panamanian government. Bunau-Varilla was appointed ambassador. And the new country was quickly given a flag, designed and personally sewn by Bunau-Varilla’s wife. Prepared was the name of the day. Work conditions were atrocious. Armies of ants crawled over the workers as they labored. The French built a hospital at Ancon to care for the sick. Not grasping the problem, they mistakenly landscape the area with potted plants to create a relaxing feeling. To keep away the ants, grounds staff carefully placed little containers of water in each plant. But this well-intended measure in fact created a breeding ground for mosquitoes. Recovering patients were soon reinfected with the same diseases that put them in sick bay in the first place. 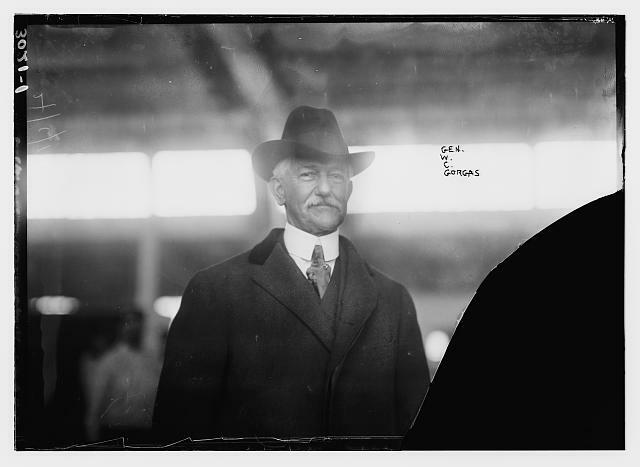 Dr. William Gorgas, from Library of Congress, at loc.gov. Stevens called Dr. William Gorgas, a public-health expert who had eradicated yellow fever in Cuba by killing the disease-carrying mosquitoes. Gorgas arrived and was horrified. He drained and covered every spot of earth that could hold standing water: swamps were immediately drained; roads paved, ditches filled. When the rains came (recall that Ferdinand de Lesseps did not visit the site in the rainy season), there was much less disease. Panama began to draw families who built housing, schools, and shops. In fact, today Panama’s tourism sector enhanced by the environment and centered on the canal might be successful in no large part to Gorgas. In baseball, there’s a starting pitcher, a relief pitcher (or two) and a closer. When Stevens took on the job, he promised Theodore Roosevelt he would stay on the task until it was proven either impossible or possible. As soon as the problems were solved, he departed on February 12, 1907, handing the command over to army engineer Lieutenant Colonel Thomas Goethals who completed final construction including the daring Culebra Cut. Finally in May 1913, construction peaked and the Chagres River waters poured into Gatun Lake. By September, a trial tugboat, named Gatun, transited the lake and locks. On August 15, 1914, the Panama Canal officially opened. While Aida was written by Verdi for the opening of the Suez Canal, no such cultural jewel was commissioned for Panama. The third set of locks project is a plan to expand the Canal’s capacity composed of three integrated components: (1) the construction of two lock facilities – one on the Atlantic side and another on the Pacific side – each with three chambers, each which include three water reutilization basins; (2) the excavation of new access channels to the new locks and the widening of existing navigational channels; and, (3) the deepening of the navigation channels and the elevation of Gatun Lake’s maximum operating level. The expansion will change shipping around the world. For example, ship design: the Panama Canal effectively sets the standard for ship size. “Panamax” is a technical specification issued by the Panama Canal Authority to guide maritime builders in the maximum dimensions allowed to fit through the locks. But in 2007 when the canal’s expansion began, a new standard was anticipated: “New-Panamax.” If larger ships can soon transit Panama, United States ports will also need to prepare to receive mega-vessels. Miami is challenged with such expansion, for example. Norfolk, Virginia is ready but many other ports are not yet prepared. So, the expansion of the Panama Canal will transform world shipping. And of course it is to be expected that bigger cruise ships will soon thrill passengers with a transit of the Panama Canal that has become a feature in floating tourism. LAWS OF THE UNITED STATES RELATING TO THE PANAMA CANAL, THE SPOONER ACT, APPROVED JUNE 18, 1902. An Act To provide for the construction of a canal connecting the waters of the Atlantic and Pacific oceans. Be it enacted by the Senate and House of Representatives of the United States of America in Congress assembled, That the President of the United States is hereby authorized to acquire, for and on behalf of the United States, at a cost not exceeding forty millions of dollars, the rights, privileges, franchises, concessions, grants of land, right of way, unfinished work, plants, and other property, real, personal, and mixed, of every name and nature, owned by the New Panama Canal Company of France…That the President is hereby authorized to acquire from the Republic of Colombia, for and on behalf of the United States, upon such terms as he may deem reasonable, perpetual control of a strip of land, the territory of the Republic of Colombia, not less than six miles in width, extending from the Caribbean Sea to the Pacific Ocean, and the right to use and dispose of the waters theron and to excavate, construct, and to perpetually maintain, operate, and protect thereon a canal, of such depth and capacity as will afford convenient passage of ships of the greatest tonnage and draft now in use. The United States of America and the Republic of Panama being desirous to insure the construction of a ship canal across the Isthmus of Panama to connect the Atlantic and Pacific oceans, and the Congress of the United States of America having passed an act approved June 28, 1902, in furtherance of that object…the high contracting parties have resolved for that purpose to conclude a convention and have accordingly appointed as their plenipotentiaries: The President of the United States of America: John Hay, Secretary of State; and The Government of the Republic of Panama, Phillipe Bunau-Varilla, Envoy Extraordinary and Minister Plenipotentiary of the Republic of Panama. -Building the World, p. 342. See also Davidson and Lusk Brooke, Building the World (2006), Vol. I, p 338. New Countries: Is it as easy as designing a flag? Can new countries be formed for economic purposes? Future of Ocean Shipping: The Panama Canal was built to accommodate the “largest tonnage and draft” ships of its day. Maritime innovation now produces bigger and bigger ships. What are the limits? Will “New Panamax” ships stress the land and ocean ecosystems? What are the environmental implications of ever-larger vessels both on Panamanian land and on the oceans? Cunningham, Michelle. Mexico and the Foreign Policy of Napoleon III. Basingstoke England and New York: Palgrave, 2001. Michel, Prince of Greece. The Empress of Farewells: The Story of Charlotte, Empress of Mexico. Translated by Vincent Aurora. New York: Atlantic Monthly Press, 2002. Newhouse, Elizabeth, ed. The Builders: Marvels of Engineering. Washington, DC: National Geographic Society, 1992. Stine, Jeffrey K. Mixing the Waters: Environment, Politics, and the Building of the Tennessee Tombigbee Waterway. Akron, OH: University of Akron Press, 1993. U.S. Department of State. The Suez Canal Problem, July 26-September 22, 1956: A Documentary Publication. Washington, DC: U.S. Department of State, 1956.